Eletcronic Arts has released two new trailers for Need for Speed, at Gamescom, showcasing the immersive narrative that puts you right into the urban car culture of Ventura Bay. Five real world automotive icons who live and breathe the lifestyle, will inspire you to play through each of the Five Ways to Play in this thrilling reboot of Need for Speed. Ventura Bay is home to five real world icons, and by buiding you reputation and earning their respect you’re one step closer to becomimg the ultimate icon. 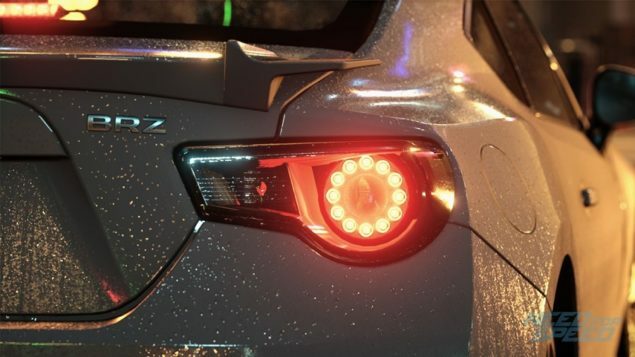 EA, will be providing attendees the chance to get a hands on with Need for Speed for the first time, and revealed a few details on what will be on display when the Gamescom event begins on August 5. The hands-on demo will offer players the chance to visit the garage of Need for Speed and check out five cars, as well as a taste of the game’s customization, before hitting the streets. Speed, Style, Build, Crew, and Outlaw. Combine all five to create that perfect Need for Speed moment; driving insanely fast, sliding through a corner in your customized ride alongside your friends, whilst being chased by the cops. The roads are there for the taking and every inch of Ventura Bay is yours to own in this urban playground where the streets only come to life at night. Set in a world that is roughly twice the size of Need for Speed Rivals you’ll discover a rich open world environment that never sleeps and is packed full of life. From the tightly packed streets of downtown, where you seek out that perfect donut spot, to the sweeping valley roads where high-speed and long drifts are the norm. Race through the industrial district with your crew in tow or seek the thrill of the chase within police hotspots. Need for Speed will be released on November 3rd for Xbox One, PS4 and PC. We will bring you any new information on Need for Speed as soon as it becomes available.